Michelle Nkatha Ntalami’ business is called Marini Naturals. She started it on November 19, 2015. This was not just any other ordinary date. It was on this day in 2014, that Michelle lost her dad, Edward Ntalami, to cancer. “Opening a business that advocates for healthier lifestyles was a huge way for me to honour him,” says Michelle. Prior to opening this business, Michelle had been employed for four years. “I worked with Scan Group as an accountant director. I was based at their offices along Valley Road in Nairobi,” says Michelle. With her position, Michelle says that her pay grade was sufficient. The good salary though was not the primary reason why she was in employment. Neither was it the reason why she switched from employment to business. “I hardly quit jobs because of salaries, especially if there was more on offer than just money,” says Michelle, who is in her early thirties. Starting a natural hair care business for people with natural hair was not easy. The business required a heavy capital injection to lift if from the ground. Michelle says that getting this capital was not an easy task. At first, she sought for startup loans from the formal banks. Unfortunately, not too many of them were willing to consider her business idea. “Governmental women and youth lending institutions were not even an option due to the nature of the business I was starting, its ownership and the amount of capital required to get it going,” she says. But this did not deter her from re-thinking how to fund her start-up. “I began with a couple of millions which I got after joining a Sacco that allowed me to borrow three times the amount I saved in three months. I had also saved from my branding agency business, and got additional capital injection from my parents and brothers,” she says. Once she got adequate capital for her business, Michelle started pitching her products to women. This quickly proved to be an Achilles’ task. “Trying to convince women to go natural was a huge challenge. Back then, the ‘natural hair’ wave had not gained momentum,” she says. She got creative and started doing targeted marketing campaigns on the benefits of going natural, and with women who were taking the big chop to start growing their hair naturally. The more viral her campaigns went, the more customers she got. Today, Michelle says that her challenges are not as many as they were when she got started. “I am lucky to have an effective team of employees, which has minimized the human resource problems that plague many small and medium businesses,” she says. But there are still some startup challenges that she faces from day to day. “Our current primary challenge, as with many small and medium enterprises, is cash flow. To get better at this, we rebranded in 2018 and we are now seeing positive cash flow results,” she says. Overtime, Michelle says that she has learned the essence of keeping her expenses low. “Some months are tough, and we have to minimize our expenses as much as possible while maximizing on our sales,” she says. 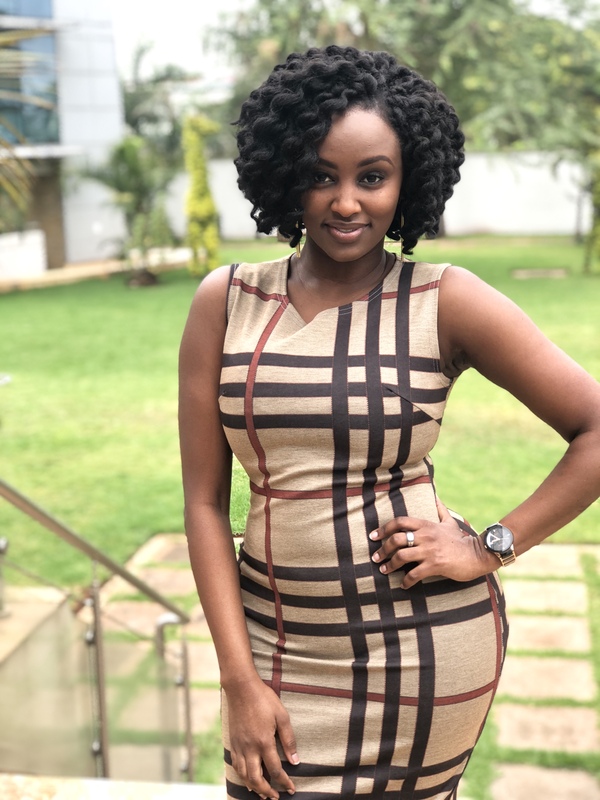 She attributes her growth in sales to a solid foundation in marketing her brand offline and online and responding positively to her target customers’ needs. Michelle is now working towards opening branches in all the major cities across Africa. “We have already established outlets in 7 capital cities across the continent. Over the next five years, my mission is to transform this business into the leading natural hair care line in Africa, and this is slowly but surely becoming a reality,” she says.